The vision is to catalyze historic Milwaukee Junction as Detroit’s preeminent neighborhood for the creative class. Chroma is an existing nine-story building that will be transformed into a center for creativity, providing work space alongside cultural anchors of food, music, and exhibition. It serves the needs of creatives, offering co-workers a diverse community, makers with high-quality space, designers and artists with flexibility, aspiring chefs an opportunity to grow, and neighborhood residents with hands-on classes to develop craft skills and expand career choices. It also boasts a roof-top bar and a basement lounge. Chroma was originally built in 1913 as a cold-storage facility by Rudolph C. Gernt. 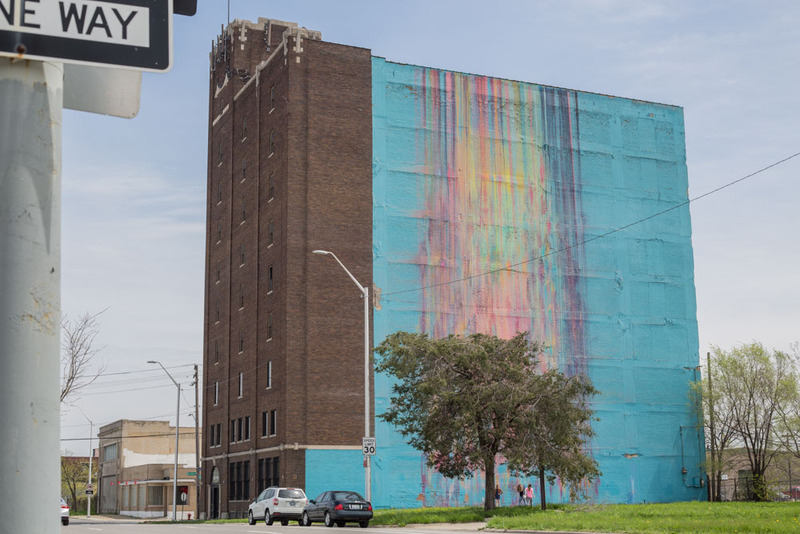 After many lives as storage and other programming, it’s exterior was brought to life in 2009 with the building’s signature 125-foot high “Illuminated Mural” by artist Katherine Craig. 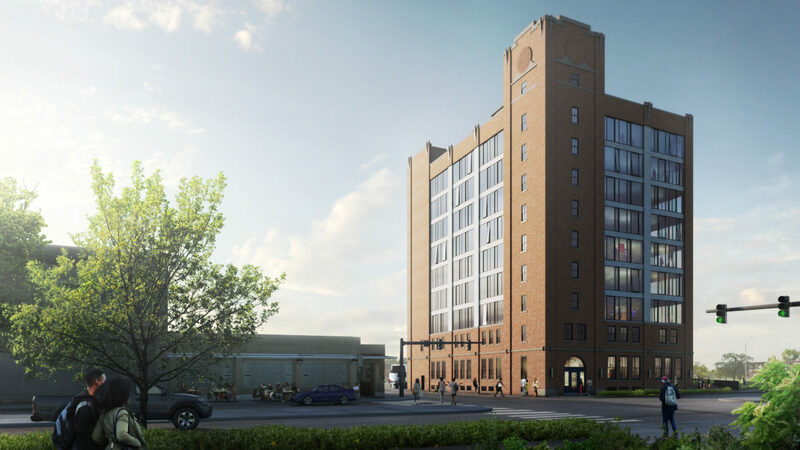 Now, in the heart of Milwaukee Junction, it is poised to contribute to the neighborhood’s rebirth while celebrating Detroit as a UNESCO City of Design. Along with the Platform's Piquette building two blocks away, Chroma offers a range of leasing opportunities for creative tenants. On Community Engagement: As a creative space, outreach to the design, craft, maker, music and food communities is critical to informing and supporting the project through its development evolution and occupancy. 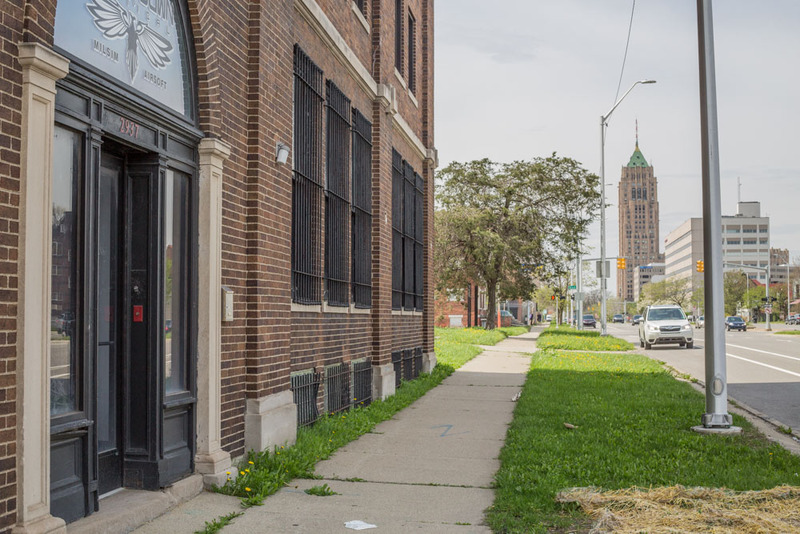 We work with a variety of stakeholders from the Detroit Creative Corridor Center to the Center for Craft and Applied Arts, to neighborhood organizations and the City to ensure success at Chroma. On Design Excellence: The design intention at Chroma is to celebrate the character of its concrete interior while opening up its brick exterior in a way that honors the building’s martini column structure, its past as a cold storage facility, and its notable mural. The interior is designed with a mix of utility and hospitality from the basement to the roof-top. In the Neighborhood: Underground Resistance, Jam Handy, ONE Mile Detroit, Tangent Gallery, Piquette Plant Museum, Oakland Avenue Urban Farm, Michigan Urban Farming Initiative, Russell Industrial Center, Howrani Studios, Motown Museum, College for Creative Studies, Shinola Factory Headquarters,and the Detroit Creative Corridor Center.